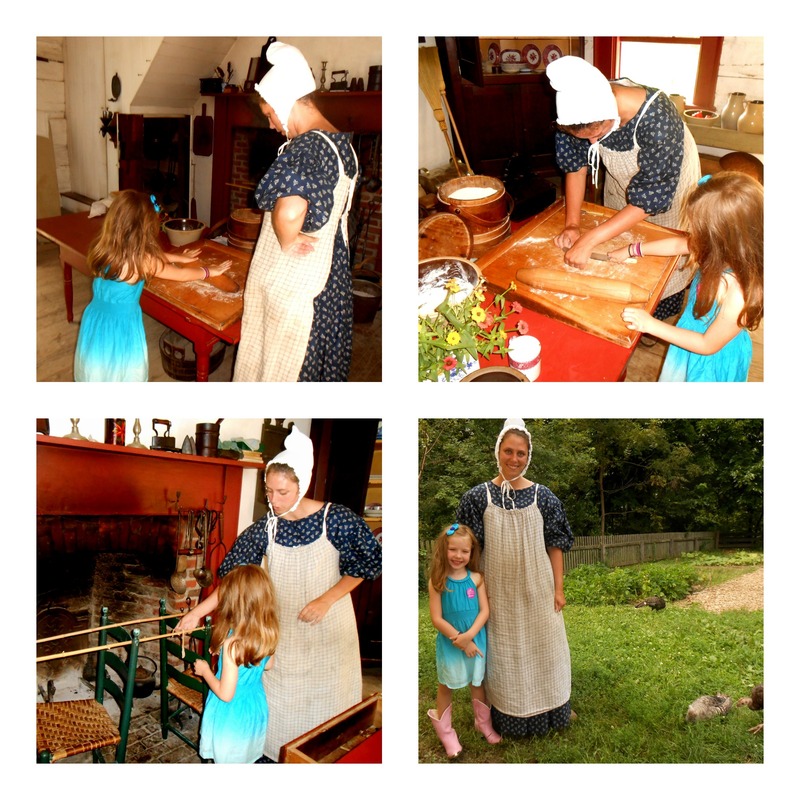 We made a trip this week to Conner Prairie and took an incredible adventure back in time. 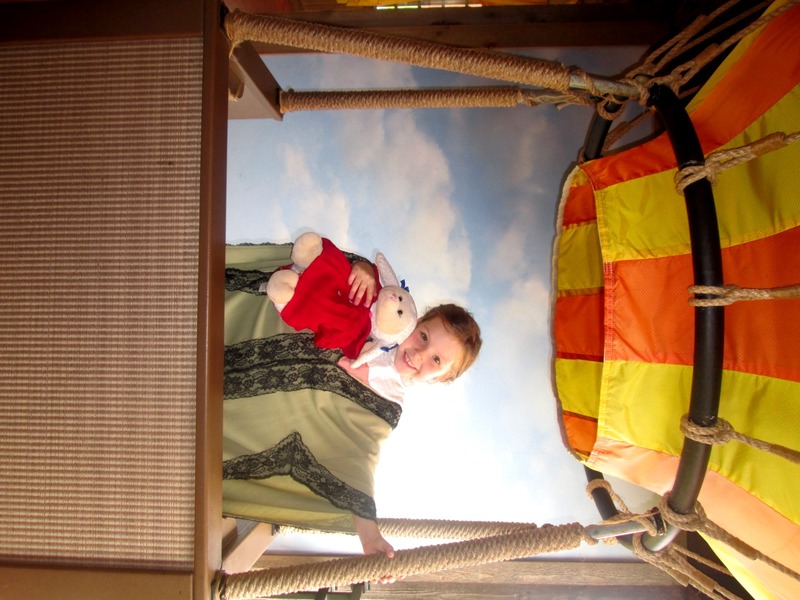 Lulu and her lamb Lili, both dressed in period clothing, prepare to travel back in time. 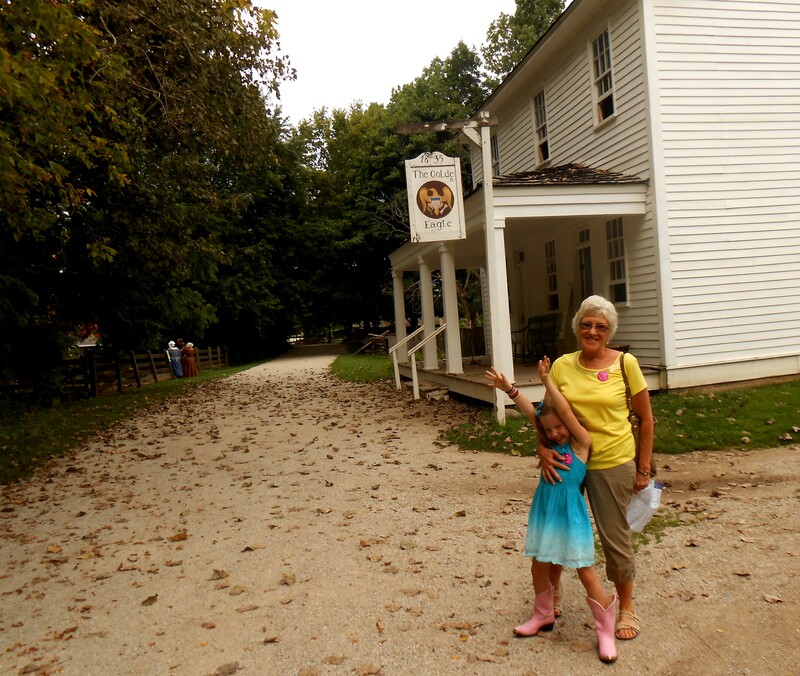 Affiliated with the Smithsonian, this museum-park leads you through a meandering journey of pioneer life in Indiana before and around the time it became a state in 1816. 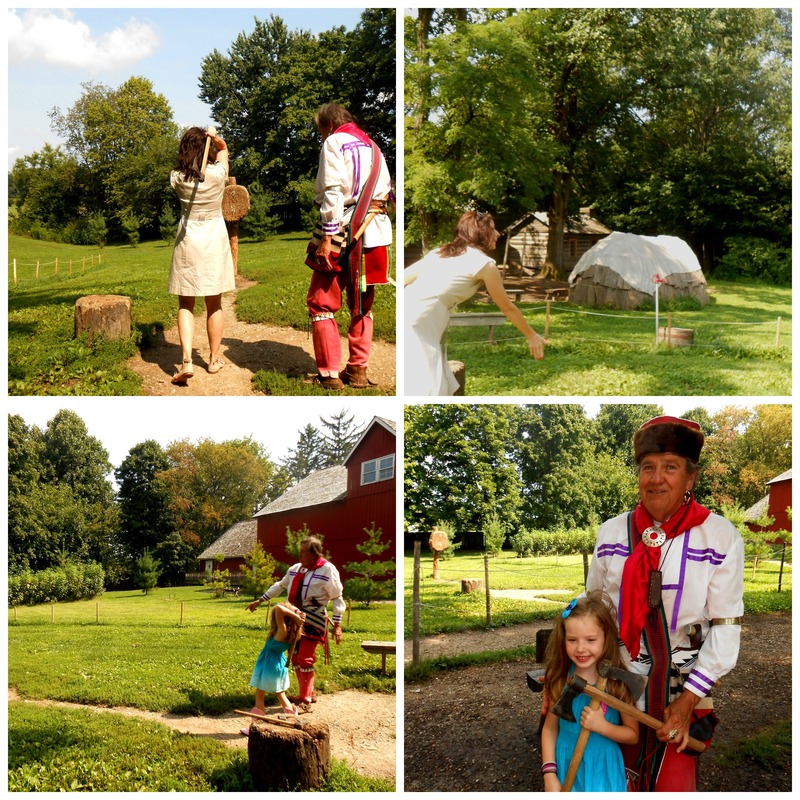 Lulu and I practiced tomahawk throwing with a real descendant from the Lenape, or Delaware, Indians who lived in this area before and during the fur-trading days of the early 1800s. Cause every girl needs tomahawk lessons! 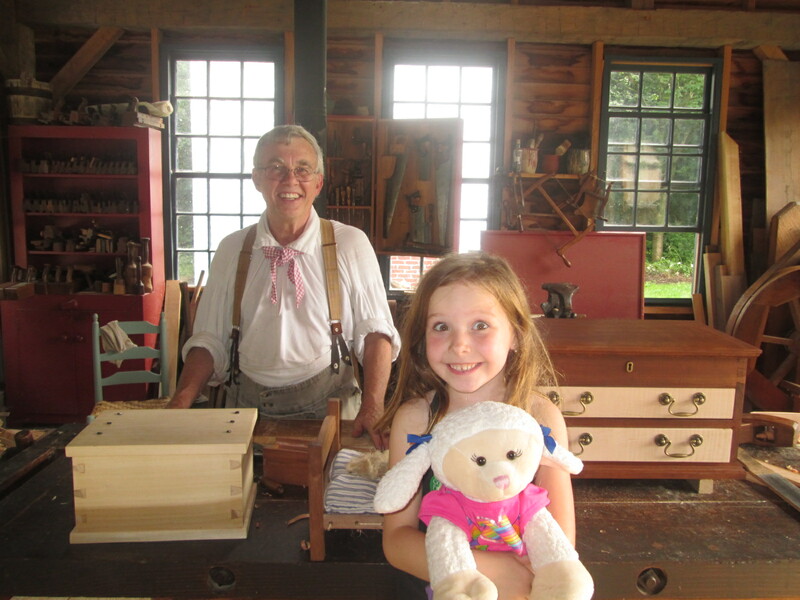 Down the lane, real-life historians, artisans and craftspeople recreate a pioneer village from 1836. 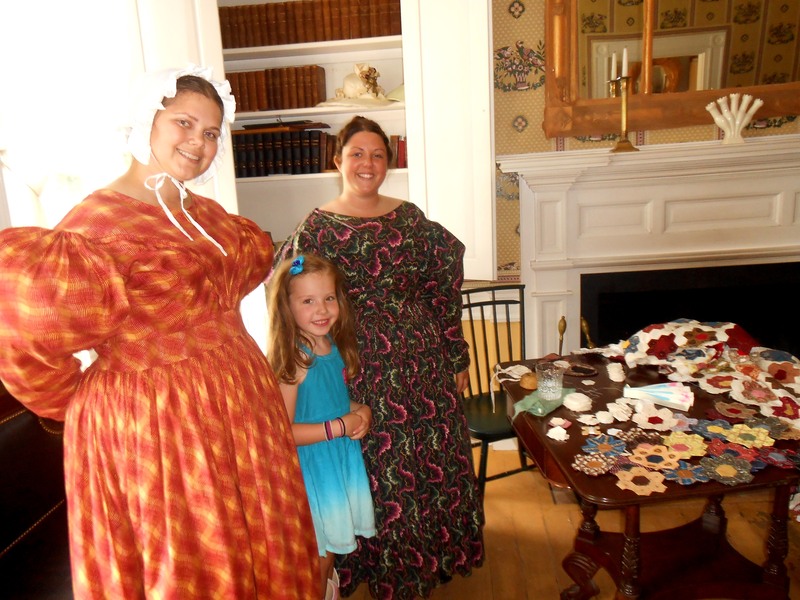 They never break character as they demonstrate their handiwork and weave delightful stories about the goings-on in the town. 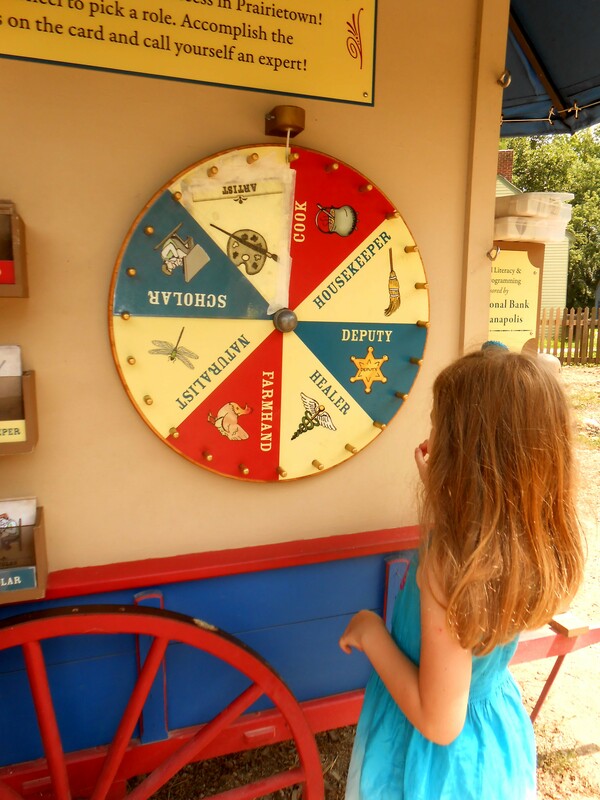 Before entering “Prairietown, Lulu spun a wheel which determined she would be a local artist in the village. As such, she had certain tasks to perform and answers she needed to discover by asking questions of the other villagers. 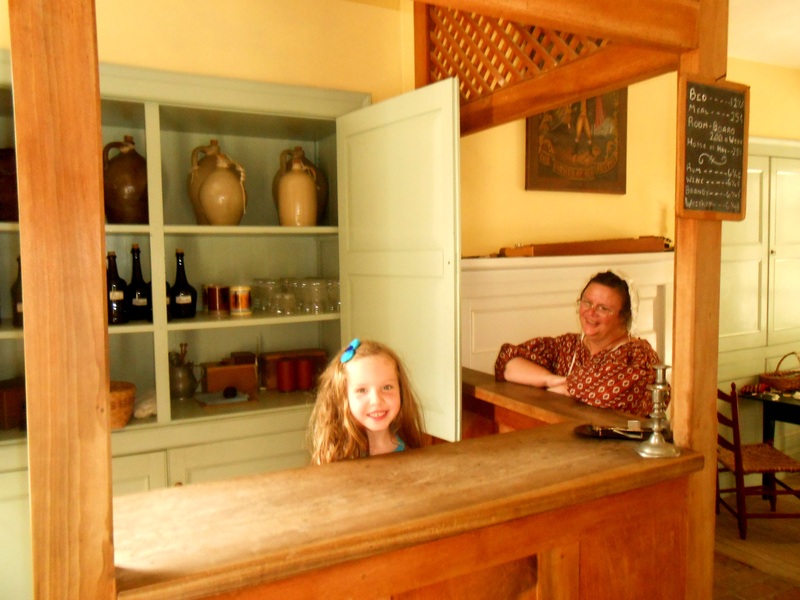 Lulu smiled with her from behind the Inn’s bar. Would you like some Elderberry wine? 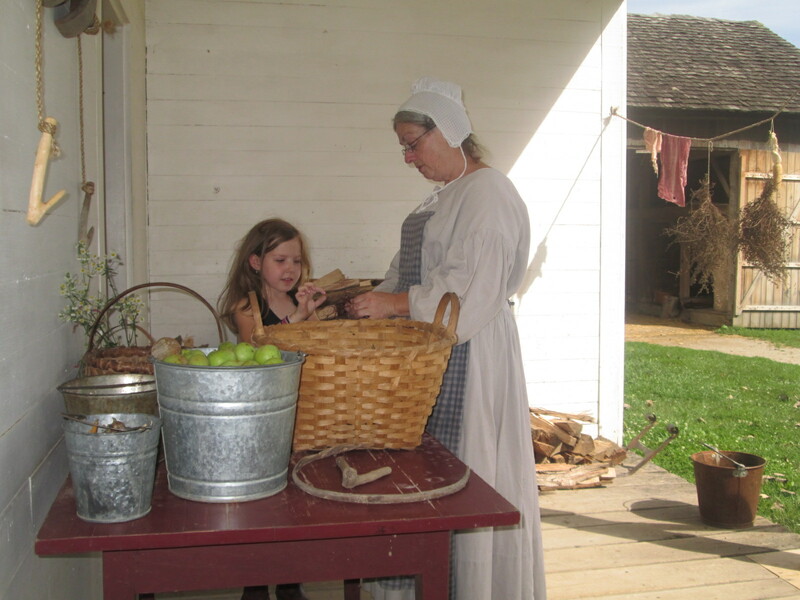 Lulu was given the chore to wash some vegetables at the Inn. She also patiently learned how to hand-dip a beeswax candle. Each beeswax candle takes dozens of dips in the hot wax to reach the right size. She rolled dough and cut out noodles with the spinster lady (at the ripe old age of 27!) who lived at a cabin with a dozen or so real young turkeys wandering in the backyard. This is a bit different than when Lulu helps Daddy make tortelli! And Lulu spent about 15 full minutes creating her own custom stencil designs. I didn’t mind. The magic wheel had designated her an Artist after all. Artist at work. I think the pink boots add inspiration to her work. Although we lived for the past three years in Italy, that inspiring land of the Renaissance where history reaches out to you from every street in art and architecture, our experience exploring Conner Prairie was an exhilarating hands-on event. Village carpenter Mr. McClure, Lulu and Lili. Grammie and Lulu at the Golden Eagle Inn. And for me, it was an important opportunity to be reminded how proud I am of something I never earned. It was simply bestowed upon me the day I was born. Something that could too easily be taken for granted while I was encompassed by the grand history of Italy. Something that my forefathers worked hard to create and died to protect: My Hoosier and American heritage. 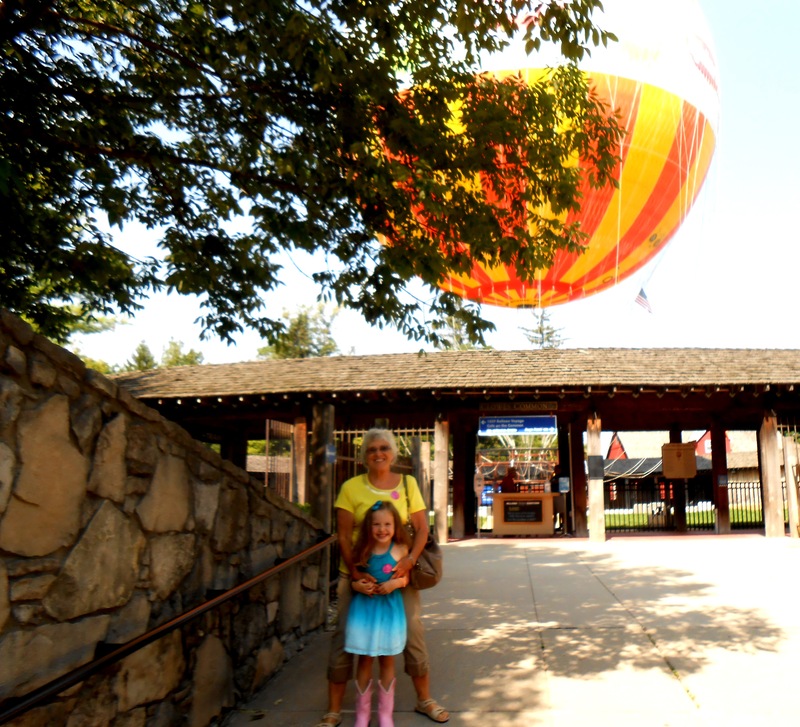 Thank you, Mom, for taking Lulu and me to Conner Prairie. P.S. What’s your heritage? What makes you proud? What makes you appreciate other cultures?